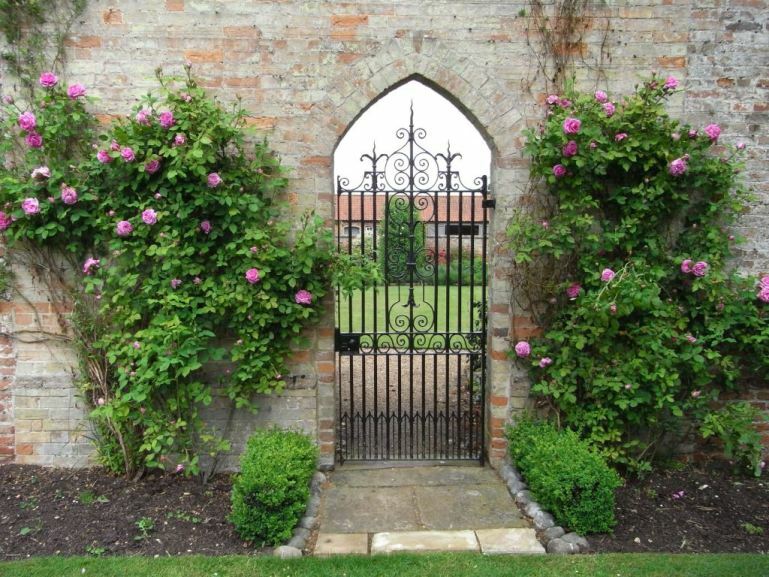 Stow Hall Gardens are located a 5 minute walk from Church Farm within the village of Stow Bardolph. It is unclear as to whether there have been 3 or 4 houses on this site since 1553 when Nicholas Hare acquired the land. The first house to be documented was built in 1589 and was a pretty Elizabethan structure in the shape of an E similar to Blickling Hall in north Norfolk. The house was tragically neglected by the family who left a manager living in one wing with most of the family pictures, the furniture and other treasures having been sold off. The next house (1796) was said to “have little architectural character” but we have a watercolour from the architect’s plans and it looks to be a delightful bow-fronted, large windowed house and more modest in size. 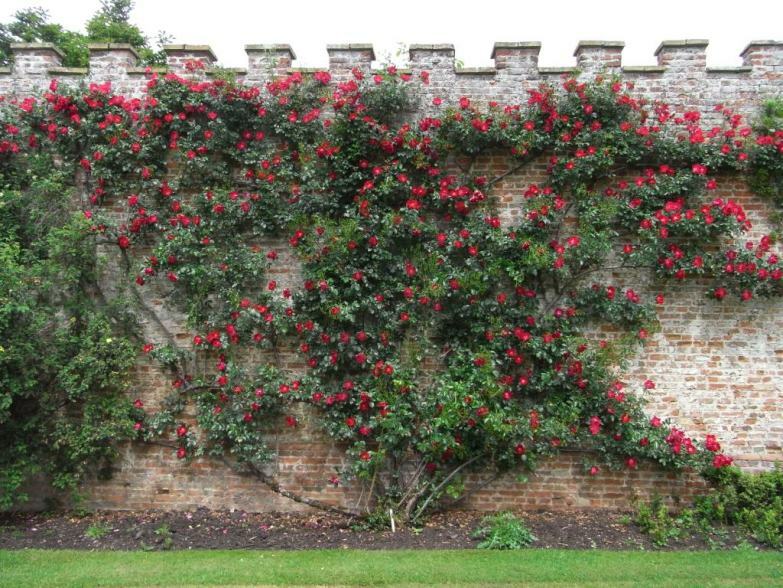 Plans documented a large-scale garden designed by Lee and Kennedy of Hammersmith, but more of these later. This house too, fell into decay and the final hall on this same site was erected in 1874 designed by David Brandon. The last house was a rambling affair, the central part housing the family and a large side wing for the staff. The main rooms faced south overlooking the lawns and ha-ha to the fields and woods beyond. The back of the house faced north up the Chase and an avenue of oaks and elms, the elms having all fallen to Dutch Elm Disease in the last 30 years. There was a tower, one small room wide, that housed the water cisterns. The staff quarters were tagged on to the west side of the house, enclosing a kitchen courtyard where the chicken pens are now. The Victorian house was no great beauty and from 1940 to 1980 was used by the local health authority as a maternity hospital and then a convalescent home. As was the story with it’s precursors, the house fell into a terrible state of disrepair due to rampaging dry rot, and was demolished in 1994/95, brick by brick. Most of the masonry and fixtures and fittings were sold to pay for the demolition and some of the more distinctive stonework has been used around the garden. My memories of the house are of the convalescent home, plastic panels on the walls to protect them from busy nursing traffic, dismal municipal paint colours and a scary, dark-panelled matron’s office. However, I always enjoyed going up to the tower with my mother to collect the old Red Cross trolley that we took, piled high with sweets and toiletries, round the wards. My sister and I would sneak into the enormous kitchen to watch the industrious Miss Osbourne, every inch the old fashioned cook, and her giant marmalade cat that was always asleep by the oven. 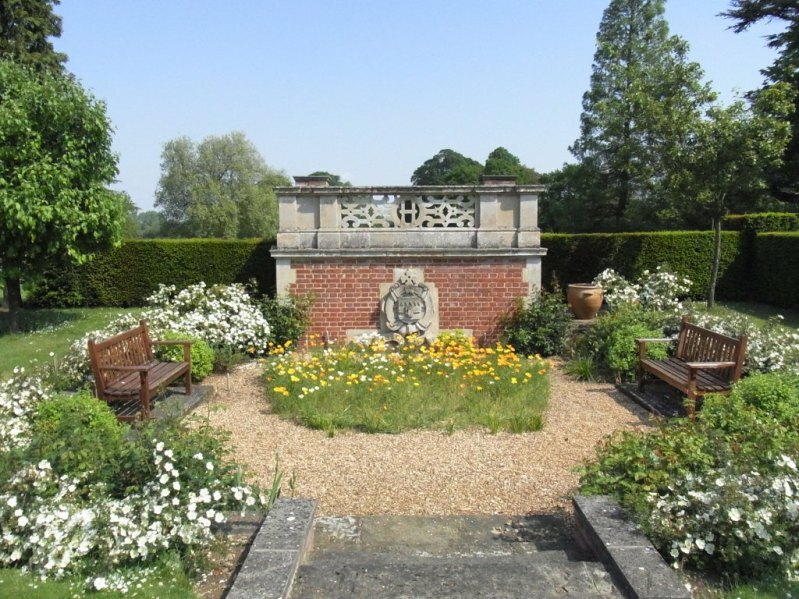 The gardens at Stow Hall have been in place since the early 1800’s with designs on a grand scale including an enormous conservatory, a roseary, a great greenhouse and a pine stove (for pineapples). The plans for the Victorian house were governed by the position of several surrounding fine trees as well as the oak and elm avenue on the north side. 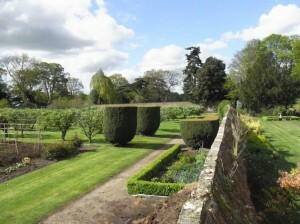 The gardens are constantly being changed and developed, restoring old brickwork (often using bricks from the old hall), managing, felling and replanting trees, and developing planting areas using research into old plans alongside modern techniques and discoveries. The garden is maintained by one full time and one part time gardener. Extra help is brought in for hedge cutting. 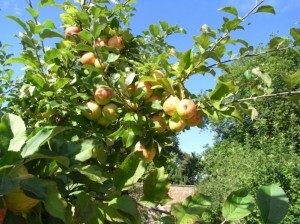 The kitchen garden is now mainly laid down to lawn and has been planted with many ancient apple and quince varieties. The two areas of much older planting are the grass banked path lined with apple trees from the 1920’s, and the arched walkway covered in pear trees on the south side and apple trees on the north side, both planted in the early 1800’s. The archway ends at an ancient mulberry, probably planted in the 1790’s by John Kennedy, the garden designer and innovative plantsman. The gravel paths are edged with box hedge, all grown from seedlings from around the garden. In the 1960’s the whole kitchen garden was maintained by one man, Albert Green. It was bursting with produce, all beautifully neat and well cared for. We harvested such treats as asparagus and peaches, all in abundance, and an endless supply of sweet peas. The price of Mr Green’s labours was his back. I remember all his conversations with my father were held bent double, Mr Green leaning his weight on his knees. I don’t think I ever saw him stand fully upright. Now the kitchen garden is used by the family and allotment holders, who grow some competition-size vegetables there! This is the site of the last Stow Hall, dismantled in 1995. The yew hedge shows the outline of the Hall and the Incense Cedar the position of the tower, and the steps stand in their original place leading to the front door. At the time of demolition grand ideas were discussed for leaving the tower standing, providing an unusual and lofty dwelling, and placing two elongated pools in front to balance it visually. It was all far too expensive and the more modest pond takes the place of the main hallway. The cloisters house a mixture of climbers. 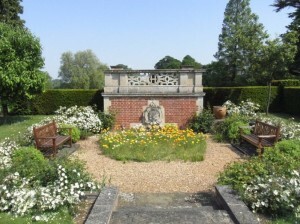 The old formal pond has recently been replanted with white peonies and tulips. The four trees round it are crab apples from the 1930’s. 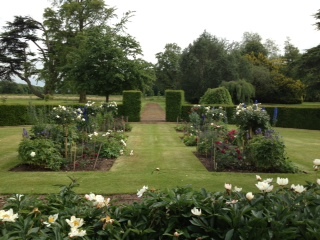 The Dutch garden has been recently restored using old bricks from Stow Hall. It is a lovely secluded spot to sit on a warm day. One of the most unusual trees in the garden is the huge fern leaf beech whose branches dip to the ground, re-root themselves and spring up again providing a web of climbing trails for small boys! The Old Rose garden was laid out in the 1930’s and many of the roses lasted until the 1990’s. Gradually they died off, mostly due to old age, and as it is impossible to replant the same site with roses immediately, the beds have been grassed over and a formal planting of Malus Everest have taken their place. Roses are still an important part of the planting and over 200 varieties can be seen growing all through the gardens. The adjoining Elizabethan wall was restored in 1996. You can still see the slightly newer bricks in their criss-cross pattern along the top. The nearby pump was used by the pony and cart to draw water from a huge well beneath to collect water for the greenhouses. Most years the spout is home to a flycatcher’s nest, whereas the pump in the kitchen garden sometimes houses a far less friendly hornet’s nest. There are a number of stone engravings throughout the garden commemorating family events and well loved pets. The Cloisters, Summerhouse Garden and Dutch Garden are on the site of a huge conservatory which was demolished in the early 1900’s and which housed 548 varieties of plants. The catalogue of these plants circa 1803 is in the Oak Spring Garden Library, Virginia USA, which houses a number of botanical books collected by Mrs Paul Mellon. We hope you enjoy your visit to this family garden and experience the peace and tranquility which are so much part of this.